Rates are just one of the places you will feel the credit union difference. With better rates, you can earn more or you can pay less. Either way, that means more money in your pocket. Who wouldn’t want that? Our Credit Union loans are available for all types of vehicles - autos, motorcycles, boats and RV's. We also offer consumer loans, VISA credit cards and business loans. At Tampa Bay Federal Credit Union, we offer competitive rates and personal service is a priority. Once you do some comparison shopping of rates, it's hard to argue with credit union loans and the differences -- all to the better -- that they afford you. Credit Unions are better, plain and simple and we're tops in Tampa Bay. * Simply maintain a monthly recurring direct deposit or ACH debit to meet monthly Reward requirements. 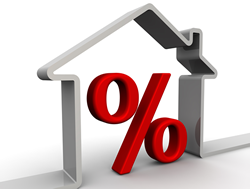 ** APY = Annual Percentage Yield. Rates subject to change without notice. Fees may reduce earnings on share accounts. If your account does not meet requirements .02% APY on account balance. **Annual Percentage Yield. Rates subject to change without notice. Fees may reduce earnings on share accounts; and early withdrawal penalties may apply on share certificate accounts.Savings deposit of $25 automatically deducted monthly from TBF checking account. Automatic Deposit of $25 each mont. *Annual Percentage Yield. Rates subject to change without notice. Fees may reduce earnings on share accounts; and early withdrawal penalties may apply on share certificate accounts. Automatic deposit of $25 debited monthly from TBF Checking Account. *Annual Percentage Yield. Rates subject to change without notice. Fees may reduce earnings on share accounts; and early withdrawal penalties may apply on share certificate accounts. ***Available for limited time only.